Add these power packed superfoods to your diet and give your body good nutrition and maximum fuel for healthy weight loss. Finding ways to work these power packed foods into your diet each day will give you energy, burn fat and help curb your appetite. You'll help stop cravings before they hit, leaving no room for junk food when you begin feeling hungry. When your body is getting the nutrition it needs from whole healthy foods, the urge to overeat is put to rest. Factor in a little moderate exercise and watch the pounds melt away. Spinach is a rich source of omega-3, a "good fat", and folate (folic acid), a natural source of vitamin B9. It reduces the risk of some cancers and helps prevent heart disease and stroke. Its ability to boost blood flow may also help protect against sexual dysfunction. One cup per day is all that is necessary to be beneficial and may also help reduce the risk of heart disease, stroke, and osteoporosis. Dark leafy greens, such as chard and kale, asparagus, broccoli, oranges and strawberries also have a significant amount of folate. Include baby spinach in your salads and omelettes, use it as a pizza topping on healthy veggie pizza, and saute it in a little olive oil and garlic for a tasty side dish. Spinach is one of the best superfoods that is readily available and simple to add to your healthy diet plan. Yogurt is a probiotic that encourages the growth of "good bacteria" and helps the fight against "bad bacteria" in the digestive tract. It also helps boost your immune system and protects against some cancers. Not all yogurt is healthy though. Make sure you choose one that indicates "live and active cultures" and pass on the ones that have high fructose corn syrup. Kefir, low fat cottage cheese, and tempeh are also high on the list of healthy probiotics and super foods. a good substitute for ice cream lovers. The tomato is a great superfood and an excellent source of lycopene. Lycopene is known to fight against breast and prostate cancer, as well as protect against coronary artery disease. A tomato is one food that may be more beneficial when it is cooked, rather than raw, because the body is able to absorb more of this important substance in it's cooked state. Just 22 mg per day will be of benefit. Watermelon, grapefruit, and papaya are also good dietary sources of lycopene. A glass of low sodium tomato or vegetable juice is an easy way to get your serving of this remarkable nutrient. Roast or grill tomato halves with a little olive oil and your favorite spices. Cherry tomatoes eaten as a snack are a great addition to your healthy diet. Carrots are packed with carotenoids, the fat-soluble compounds that helps reduce a wide range of cancers. Carotenoids also help protect against inflammatory diseases such as asthma and arthritis. Most red, yellow, or orange vegetables and fruits are spiked with carotenoids. Carrots are easily available and simple to have handy when a quick snack is in order. Just a half cup a day is beneficial. Sweet potatoes, pumpkin, butternut squash, pepper, and mango also contain this healthful nutrient. Carrots are a great superfood that is easy to include in your healthy diet. Snack on baby carrots; juice them and add to smoothies, roast carrots with olive oil and your favorite spices. Blueberries contain more antioxidants than most any other fruit. They help fight against cancer and diabetes and some studies show, even memory loss. Blueberries are also rich in vitamins A and C and contain plenty of fiber. Just one cup of these little gems will give you the daily requirement. Açai berries, red grapes, pomegranates and cranberries are also antioxidant power houses which makes them high on the superfoods list. Fresh blueberries are great in plain yogurt. Or toss them in the blender with half a banana, plain yogurt, and blend with ice and a little cranberry juice for a delicious smoothie. Add this superfood to some to baby spinach, feta cheese, and red onions for a tasty, light salad. Top with your favorite vinaigrette. Oats are packed with soluble fiber which aids digestion and helps lower the risk of heart disease. Oatmeal may be considered the original health food and can be eaten at breakfast, added to healthy dishes and desserts. Oats have 10 grams of protein per half cup and release carbs slowly into the bloodstream, guarding against a sudden spike in blood sugar. Steer clear of the overly processed one serving packets. Go for steel cut or old fashioned oatmeal. Good substitutes include Quinoa, ground flaxseed, and pearl barley. Look for cereal and granola that have at least 5 grams of fiber per serving. Sprinkle ground flaxseed on salads, cereal, and add to fruit smoothies. Try quinoa instead of rice. All beans are good for your heart and black beans top the list. They are full of anthocyanins, antioxidant compounds that lend to increased brain function. They are also high in fiber and good for the digestive tract. Just half cup a day provides protein and fiber, and is free of saturated fat. These superfoods include pinto, lentils, kidney, and lima beans. Include black beans in a breakfast burrito; use both black beans and kidney beans in your chili; puree 1 cup black beans with 2 Tbsp olive oil and roasted garlic for a healthy dip. 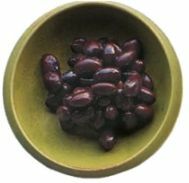 Mix and match different kinds of beans for a delicious Three Bean Salad. Walnuts are one of the best superfoods you can easily include in many recipes. They also make a great snack. Walnuts are an amazing heart healthy food and are rich in Omega-3's, anti-inflammatory polyphenols, and even contain protein. An adequate serving is 1 ounce or about 7 nuts. Keep them close at hand for a healthy snack when temptation for junk food strikes. Almonds, hazelnuts, pistachios, and macadamia nuts are also worthy of mention when it comes to the nutritional value found in nuts. Top salads and steamed veggies with a few walnuts or almonds, add chopped nuts to yogurt or kefir, or have a few walnuts and blueberries with a small piece of dark chocolate for a decadant snack.